January 30, 2019, 4:30 p.m. While the colder months are usually better for Emergen-C, a powdered drink mix containing antioxidants and vitamins, this winter season in particular appears to be one of the brand’s best, in terms of consumer perception. 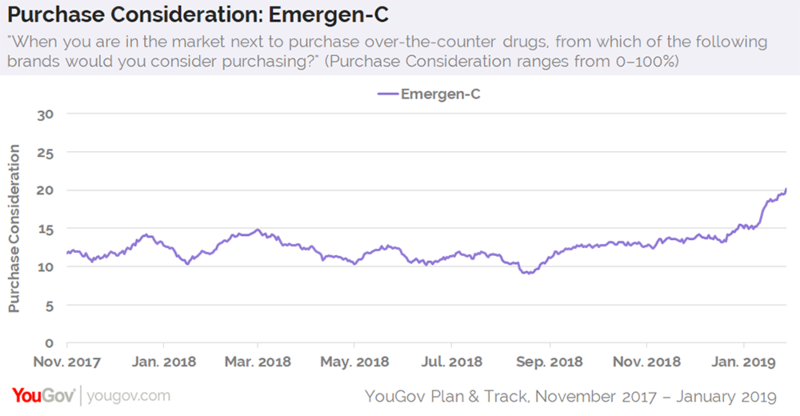 According to new numbers from YouGov Plan & Track, 20% of US adults are currently open to buying Emergen-C when next in the market for drug-related goods. That’s a new high for the brand since YouGov began collecting data on the drink mix in late 2012. 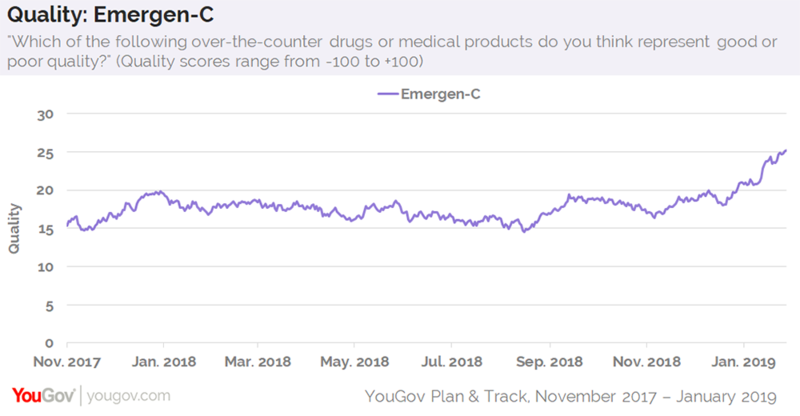 Around this time last year, only 12% of consumers expressed interest in purchasing Emergen-C.
And even though various articles have recently questioned Emergen-C’s effectiveness, additional figures show that this month American consumers are giving the brand its highest Quality score ever. When asked if they think Emergen-C represents either good or poor quality, shoppers currently give it a score of 25 on a scale ranging from -100 to +100. This time last year, the brand’s Quality score sat eight points lower at 17. Emergen-C is presently running commercials encouraging viewers to try its products and “emerge restored.” Near the end of one TV spot, the narrator asks, "Why not feel this good every day?" 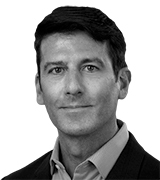 YouGov data reveals that, as of right now, 17% of US adults recall seeing an advertisement for Emergen-C at some point in the past two weeks. In total, 72% of current and former Emergen-C customers say they are open-minded about homeopathy and alternative medicine, compared to 62% of all US adults. Furthermore, 55% of Emergen-C customers agree that taking supplements without a doctor&apos;s recommendation is totally fine, while the same is true for 48% of the general public. Emergen-C users are most likely to live in a suburb.